MANILA, Philippines – Senator Sonny Angara has filed a bill that seeks to give free dialysis treatment to poor Filipinos stricken with kidney disease. Under his Senate Bill 1329, all national, regional and provincial government hospitals are required to establish a dialysis ward or unit that will provide free dialysis treatment to indigent patients. 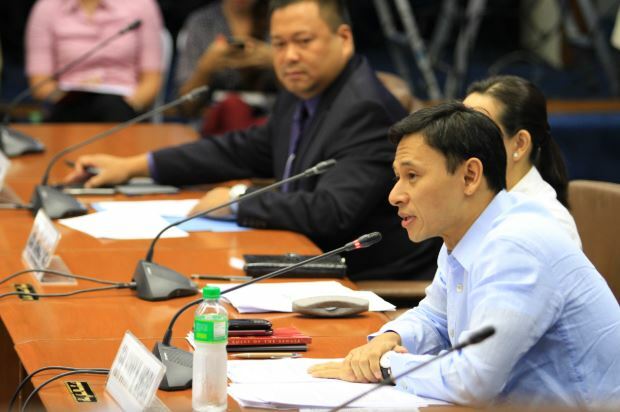 Angara noted that poor patients suffering from kidney ailment who are living in the provinces are burdened by the expenses of traveling to urban cities to seek dialysis treatment, on top of the high cost of the procedure itself, which is needed on a regular and sustained basis. "The optimum frequency of dialysis is three times a week, but because of its high cost and inaccessibility, some patients settle with less, thus causing their health to deteriorate more progressively. Worse, some patients have died without being given a chance to undergo dialysis simply because they could not afford it," the senator lamented. "Talagang napakahirap para sa isang ordinaryong pamilya ang magkasakit dahil sa laki ng gastusin sa pagpapagamot. Walang katumbas ang sakit nang mawalan ng isang mahal sa buhay dahil lamang sa wala tayong kakayahang magpagamot at magpa-ospital," he added. A patient with kidney disease needs to undergo hemodialysis treatment thrice a week, or some 144 sessions in one year. The cost for each dialysis treatment, including the use of machines and medicines, is around P2,500 in government hospitals, and P4,000 in private facilities. Since Philhealth covers only 90 dialysis sessions annually, the patient would need to pay for some 54 sessions a year or at least P135,000. "Sa ating panukala, libre na ang lahat ng dialysis sessions basta ang pasyente ay indigent," the lawmaker explained. According to reports, the Department of Health has recorded over 50,000 kidney patients nationwide from 25,000 in 2016. Kidney diseases, which can be prevented, are now the 7th leading cause of death among Filipinos. "With kidney disease fast becoming one of the leading causes of death in the country, it is imperative to ensure that dialysis treatment will be accessible and cost-effective, especially to the poor patients living in rural areas," said Angara, who is also pushing for free check-ups and laboratory tests to prevent such fatal diseases.